There are many great reasons to run a Twitter giveaway or contest. These include boosting engagement and increasing your followers. And of course it can be a lot of fun for your fans! 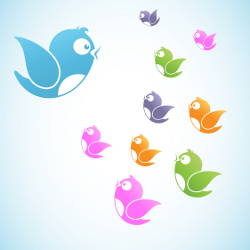 In this post I’ll share some tips for how to do a Twitter giveaway for your business. For some types of giveaways, using social media management software like Rignite can make your life a whole lot easier to create and track your giveaways. Boost Engagement. Keeping your followers active and engaged with you means they are more likely to see important announcements or other promotions from you. It will also attract other followers. Increase Followers. Building your fan base is critical to being able to be effective on social media. Promote Your Brand. The more people that are exposed to your brand, the lower the barriers to purchase or taking a desired action will be. Drive Sales. While it’s difficult to actually combine a purchase with a giveaway campaign, it can be done. And often, purchases can result from exposure to your company from a giveaway. It’s always recommended that you pick a measurable goal for your giveaway. For example, to get 200 new followers or to get engagement of 500 retweets. And don’t forget to confirm the target audience for your giveaway. For some businesses, it’s the profile of your usual customer. However, for more complex businesses you’ll need to clearly define who you want to enter your giveaway, and design it accordingly. Learn how to do a Twitter giveaway or contest using Rignite. We make it easy. Prize. It doesn’t have to cost a lot but has to be desirable by your target audience. Entry ‘Ask’. What will you ask people to do to enter? See below. Dates. How long will it run, and what is the deadline and winner announcement date? Number of Winners. How will you select winners and notify them? The best Twitter giveaways and contests are simple to enter and have clear instructions and prize descriptions. What you ask people to do to enter can be a single action or a combination of things. Follow, Retweet. The simplest actions. Retweets will help to spread the word of your giveaway and get exposure for your brand. Tweet – about something. Could be a favorite flavor, author, destination etc. – With Hashtag(s). Choose a hashtag or combination that is either unique or easy to track. – With Mention/Tag. Require people to mention you in their tweet so you’ll be notified about it. – With Photo. Require people to upload a photo of something for your contest, and you’ll pick the best one. Other Non-Twitter actions. You could require people to enter an email address on your landing page, Like your Facebook page, or some other activity. The more you require people to go off of Twitter and complete more steps, the more friction you create for entering. In Rignite, the campaign wizard guides you through the necessary steps to create a simple Twitter giveaway or contest which is run completely on Twitter, including testing to see if a hashtag or combination is unique. After you work out the details you’ll want to create a draft of the giveaway announcement Tweet and also any website landing page with additional details required. Now that you’ve got your giveaway ready to go, it’s time to schedule your promotional tweets and posts. On Twitter, don’t be afraid to tweet about your giveaway several times a day, at times when your audience is likely to see it. Be sure to cross promote your giveaway or contest on your Facebook Page and Instagram account too for additional reach. As your giveaway deadline approaches, be sure to increase the sense of urgency in your tweets and posts to spur action and raise anticipation for the winner announcement. Phrases such as “Last chance to enter!”, “Only one day left…,” and “Don’t miss out…” work well. If you’ve got an email list and your goal is to increase your followers or increase engagement, you should promote your giveaway through email as well. Rignite is a software solution that makes it easy to promote and track giveaway and contest campaigns on Twitter, Instagram, and Facebook. You’ll probably want to track your giveaway to see how many entries there are, especially if it runs across multiple days or weeks. 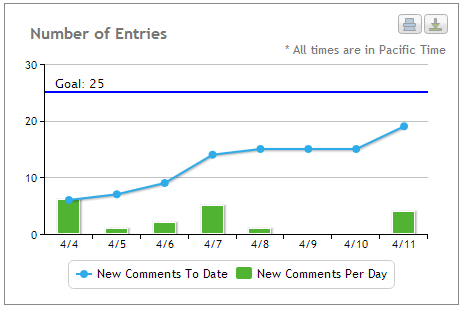 Don’t forget to track your entries against your goal. 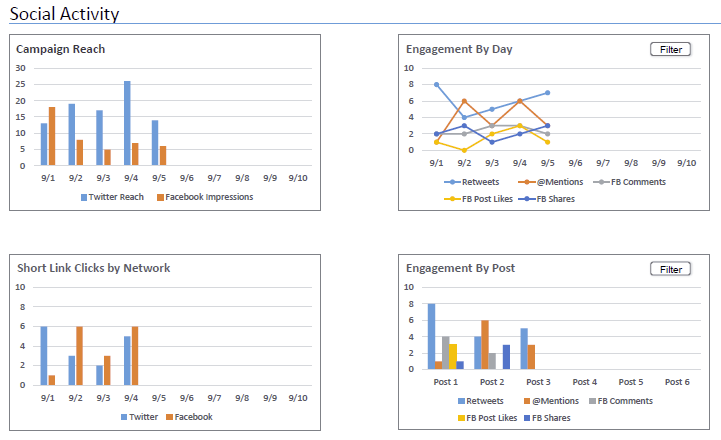 Key metrics you should be tracking in addition to entries include reach, retweets, favorites, and likes/shares (on Facebook and Instagram announcements). Selecting and announcing your winner(s) can be easy or complicated, depending on what is required to enter, and if you’re using any contest management software. Make sure you mention each winner in a tweet so they have a chance to be notified. If you also have the winner(s) email or other ways to contact them on social media, it doesn’t hurt to use those as well. You really don’t want to have to waste your time picking other winners if your first winners don’t respond within a set period of time. Giveaways and contests are effective on Facebook and Instagram too! Here’s some ideas for Facebook giveaways and Instagram giveaways.